Clean Teen Publishing has a new release! We currently have a release day deal on CRUSHED by Kasi Blake. 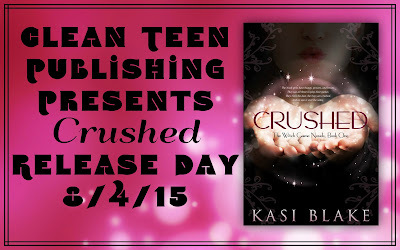 Readers can save $1 on the digital version of CRUSHED. Each year the Noah girls play a secret game― Crushed. The rules are simple. Now here is an interview with Kasi Blake! 1.) Do you write full-time or part-time? I consider myself a full-time writer with a part-time job on the side. I used to teach Kindergarten thru 3rd grade, and it was a lot of fun. Little kids are a hoot. Now, I do closed captioning for a local broadcast, but that only takes about six hours. The rest of my time is split between writing, taking care of our farm animals, and other commitments. 2.) Do you write on a typewriter, computer, dictate or longhand? My notes fill up several notebooks, but I do the actual writing on my laptop. 3.) If this book is part of a series, tell us a little about it? The Witch Game Series focuses on a different set of characters and a brand new game in each novel. Witch Hunt is the second book. At this moment, that’s all there is, but I have several ideas for other books. 4.) Tell us about the cover/s and how it/they came about. Marya Heiman did the cover and did an awesome job. We talked about potential ideas and searched for photos. Then, she ran with it. One of the ideas was for a girl to be blowing pink dust out of her hands. It is a stunning cover. 5.) What was your favorite of this book to write? Kristen is a firecracker, and Zach is the mysterious bad boy at school. I loved writing their scenes, watching them fight, and seeing them fall for each other. 6.) What writing process like? I do character bios, outlines, etc. Then, after I feel like I know my characters and the story, I use Scrivener to write it. Scrivener is awesome because you can jump around and write the scenes out of order if you want. It also has a place for pictures of my characters. 7.) How has your writing changed from your first book to now? Well, I started my first book when I was twelve and had no idea what I was doing. The difference is like night and day. It’s easier for me to get lost in the story now. 8.) How do you decided if a book is going to be a single or a series? I think every case is different. When I wrote Vampires Rule, it was supposed to be a single book. But I had a dream about it when I was halfway finished. The dream made the story a lot more complicated, and I knew it would take at least three books to tell it. When it comes to the Witch Game books, I purposely set out to do a series. My hunter series that starts with Bait had to be a series because so many things needed to happen to change the main character. Monster fighting isn’t easy. 9.) Do you have a snack you must have to write? No. I don’t usually eat when I write. During the winter, I like to drink cocoa while I write, but it usually gets cold because I forget to drink it. 10.) What would like your readers to know about you or your books? 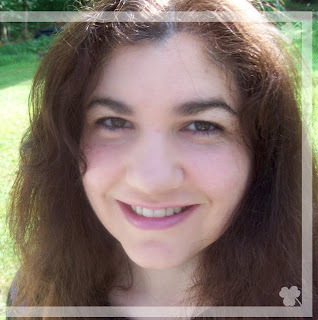 I write the books I want to read, filled with action, humor, romance, and paranormal elements. I love it when my characters come to life so I can live in their skin and in their world. It’s always sad to say goodbye to them, like old friends, but I know new friends are waiting. I also love to hear from readers. They can find me on Twitter @kasiblake, on my webiste at kasiblake(dot)com, and I have an author page on FB. Thanks for the interview. Be sure to check out Kasi on her social media and check out her new book!